Hobbs & Porter supply standard and bespoke catering equipment of all types to UK customers. Stainless steel cool cabinet in hotel restaurant. 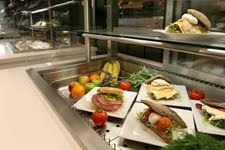 Also known as pass-through unit, high powered quartz halogen lamps help to keep food hot while it is waiting to be collected from the gantry unit by the waiters and waitresses. 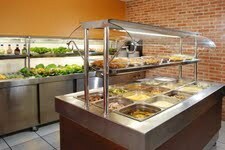 Bain Marie unit keeping food hot. This is achieved either by hot water or by heating electrically.